As you must have noticed, there is no Print Screen button on a Mac Keyboard. This often comes as an annoying surprise to new Mac users coming from a long history of using Windows Computers. Hence, this article showing the steps to use the Print Screen Command on a Mac. As mentioned above, there is no Print Screen Key on a Mac keyboard and the Print Screen Key won’t work on a Mac, even if you were to attach a Windows Keyboard to your Mac. 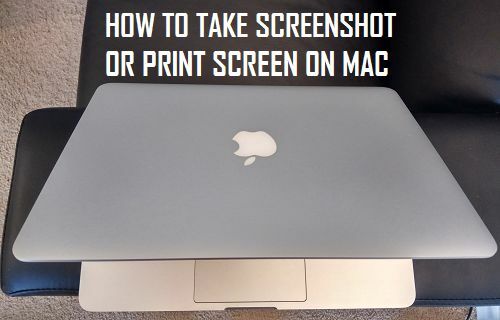 However, it is certainly possible to Print Screen on a Mac and Mac users describe this act as “taking a screen shot” instead of using the term “Print Screen” as commonly used by Windows Computer users. Compared to the Print Screen function on a Windows Computer, Mac offers more functionality by allowing you to use different Key combinations to achieve different Print Screen results. For example, you can use Command + Shift + 3 key combination to take a screen shot of the whole screen on a Mac. In case you are using dual monitors, this key combination takes screen shots of both monitors and saves it on your desktop. Similarly, using Command + Shift + 4 key combination allows you to select a rectangular area anywhere on the screen of your Mac and save it as a screen shot. Follow the steps below to take the screen shot of the entire screen or the desktop of your Mac. 3. The screen shot file will be automatically named in the format “Screen Shot [year]-[month]-[day] at [time]” – You can easily rename this file to anything that is more meaningful to you. 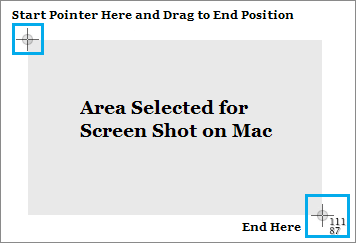 Follow the steps below to take screen shot of any selected area on the screen of your Mac. 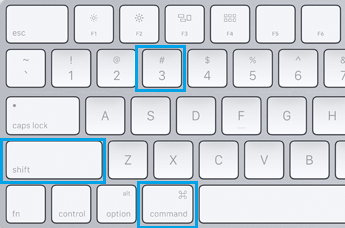 Note: Press Windows + Shift + 4 Keys, in case you are using a Windows Keyboard on your Mac. 2. Once you press the above keys, you will see the Mouse Pointer changing to Crosshair mode. 3. Using the Mouse or trackpad, select an Area on your screen that you want to take the screenshot of and simply release the mouse key to save the selected area as a screenshot (See image below). 4. The screenshot will be automatically saved as (.png) file on the desktop of your Mac. Coming from a Windows background, you might be looking for a way to Print Screen to Clipboard on a Mac, so that you can paste the Print Screen to Microsoft Word, Paint or other apps. Just like the Print Screen Command on a Windows Computer, you can also save Screen Shots to the Clipboard on your Mac and paste the screen shot to any other app. 1. Press Command + Control + Shift + 3 Keys to take a screen shot of the entire screen of your Mac. The Screen Shot will be saved to the Clipboard, allowing you to paste the screen shot to any other App on your Mac. 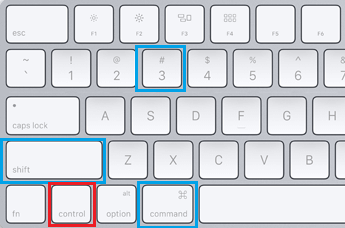 Note: Press Windows + Control + Shift + 3 Keys, in case you are using Windows Keyboard on your Mac. 2. Press Command + Control + Shift + 4 Keys to take the screen shot of any selected rectangular area on the screen of your Mac. The screen shot will be saved to the Clipboard, allowing you to paste the screen shot to any App on your Mac. 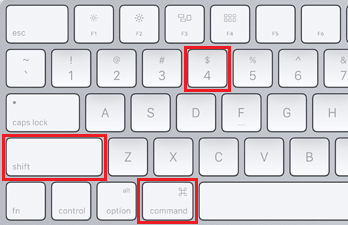 Note: Press Windows + Control + Shift + 4 Keys, in case you are using Windows Keyboard on your Mac.